The Appalachian Trail lean-to (shelter) at Deep Gap near Standing Indian Mountain, North Carolina. 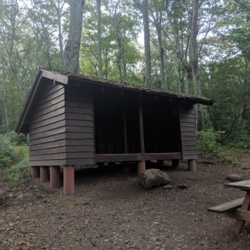 The Rattle River Shelter is one of the northernmost shelters along the Appalachian Trail in New Hampshire and is located in the White Mountain National Forest. 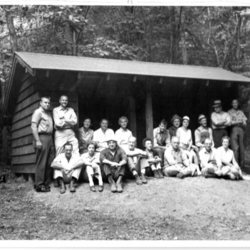 The shelter is an example of the typical style of U.S. Forest Service plant sided lean-to shelters. The Forest Service currently maintains this shelter. 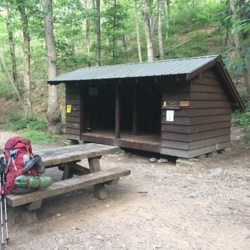 The Matts Creek Shelter is located in the James River Face Wilderness Area of the Jefferson National Forest in Virginia. 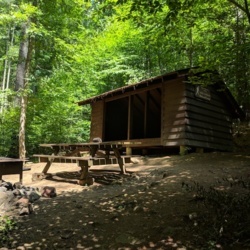 It is the first shelter south of the James River and is a typical example of the plank sided lean-tos found along the Trail in U.S. Forest Service lands. 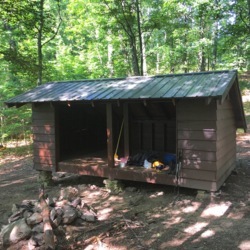 This shelter is maintained by the Natural Bridge Appalachian Trail Club. 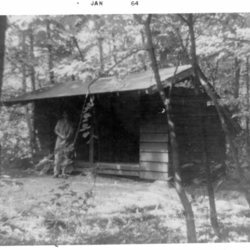 The Cove Mountain Shelter in Virginia was built at this site in 1980 by the U.S. Forest Service and volunteers from the Natural Bridge Appalachian Trail Club from materials salvaged from the Marble Spring Shelter, which was removed by the USFS in February 1980. 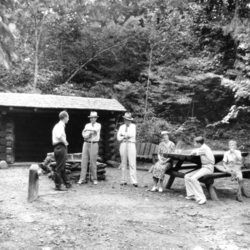 The Marble Spring Shelter was removed because it was located in the newly created James River Face Wilderness area and the Forest Service wanted to remove as many human structures as possible from the wilderness area. 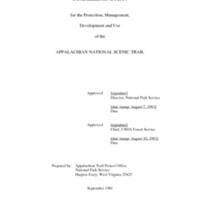 The Cove Mountain Shelter is a typical U.S. Forest Service plank sided lean-to.